First of all, there are things to commend this idea. Roasting the preacher is entirely too easy and simply critiquing the message should not become a cover for not letting God’s Word work in our hearts. Sometimes God will speak to a church through a message that makes people uncomfortable. 1. Preaching is not about direct revelation, so the preacher’s prayer by no means guarantees that the preacher is in step with God’s Spirit when he preaches. 2. Evaluation and critique is not always a matter of personal preference. There are ways to evaluate preaching. Is the Bible accurately handled? Is the message organized and presented clearly? 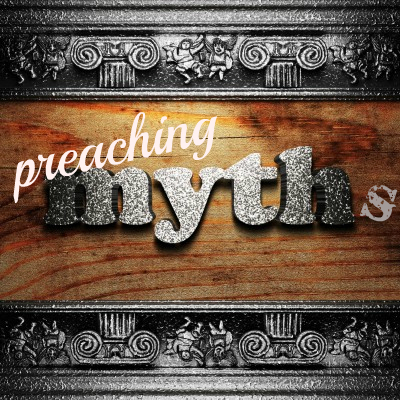 Is the preacher and the message engaging? Does the truth of the Bible nuzzle deeply into the realities of our lives today? These are not matters of subjective preference and personal taste. 3. Just because someone else affirms a message, this does not negate a fair negative evaluation. In most congregations you will find someone who likes a poor preacher. This does not make them a good preacher. 4. The leaders of the church are responsible for the diet of the church, even if the speaker is a visitor. It is the job of the leadership to make sure that people do not get fed with poor, weak, dangerous or sub-Christian teaching. Every church leadership needs to carefully and prayerfully evaluate who is feeding the flock. You cannot be careless in this and expect no negative consequences. Evaluation is not some sort of ungodly judging of others, it is a necessary part of serving the church and always moving toward better stewardship of the privilege of church leadership. I am really enjoying and benefiting from this series. Thank you so much! May we strive to be good preachers!